I am proud to announce the immediate availability of the Makerlog redesign to the public! After months of hard work (and tons of live streams! 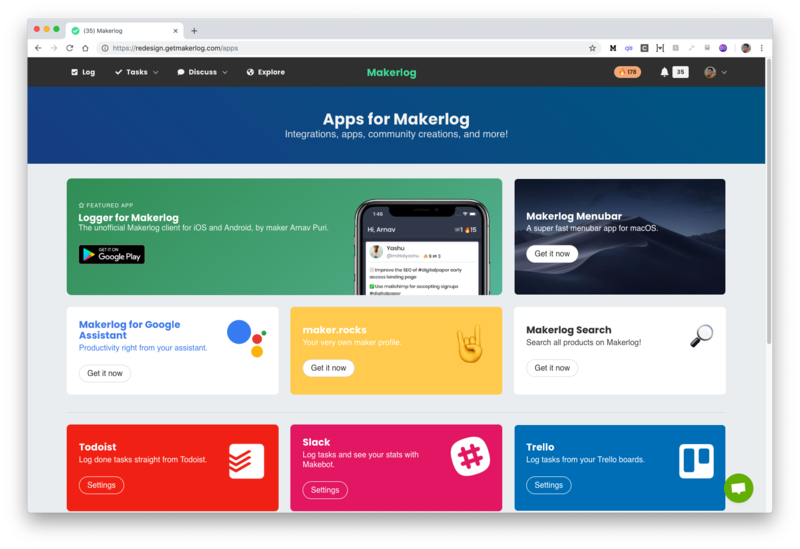 ), Makerlog 2.0 is finally out there for the public. This update brought a (needed) facelift to Makerlog to welcome the new year, plus a ton of other minor changes you will notice as you use it! The first change you’ll notice is a refreshed and reimagined design, fixing many usability issues of the past. I don’t have much to say other than: it’s awesome, and you’ll love it! 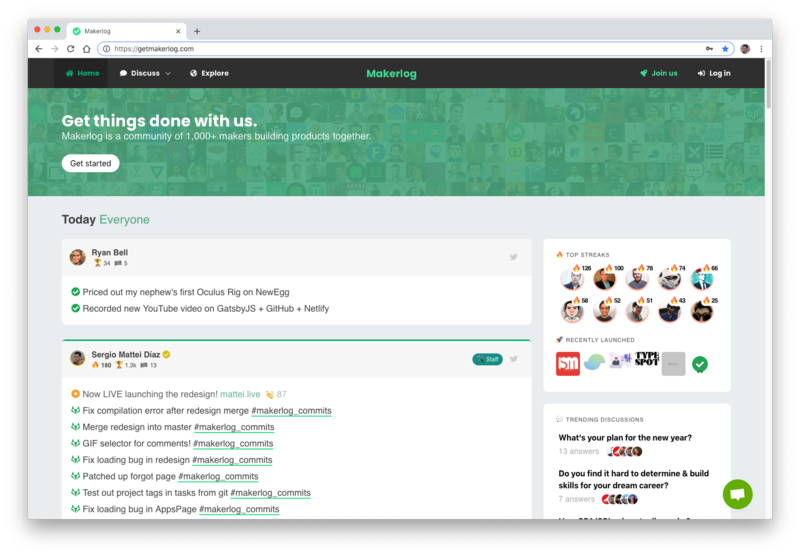 It’s a new and improved take on Makerlog that aligns with future goals and growth aspirations. 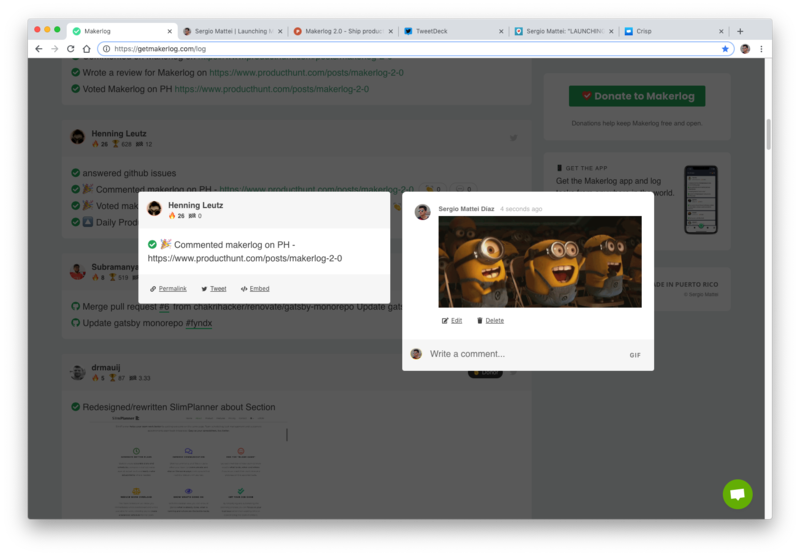 Makerlog is not a task managament app - it’s a community, and this is the foundation for a long time to come. Yes, I consider this a major change. Because GIFs and Markdown are life. In all seriousness, Markdown is a great addition to improve the quality of discussion on Makerlog tasks. We now have an all-new app store to showcase community creations and official Makerlog integrations!